As much as people now love stiffer cores, soft cores are still in style and are suitable for beginners. This is what makes the new Ride 2018 Rapture Women’s Snowboard more popular. Appearing classy and stylish, it is an all-time favorite of our women snowboarders who want to explore their skills. Are you a new snowboarder in search for an ideal snowboard for an adventurous ride? 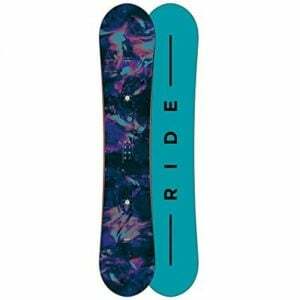 Look no further, because Ride 2018 Rapture Women’s Snowboard is designed especially for you. It is an ideal beginner board which ensures an easy and comfortable, yet stable ride. This will surely enhance our skills and will help your progress to advanced levels. But why are we so fond of the new Ride 2018 Rapture Women’s Snowboard? Why do we want our new snowboarders to get on it? Red on to find out some of its most amazing features and pros. The brand name is relatively new, yet reliable because of the higher ratings. The good quality material, technological advancement and on-point craftsmanship makes these snowboards more favorite and resilient. The board also comes with a 3-year warranty to assure after sales services. 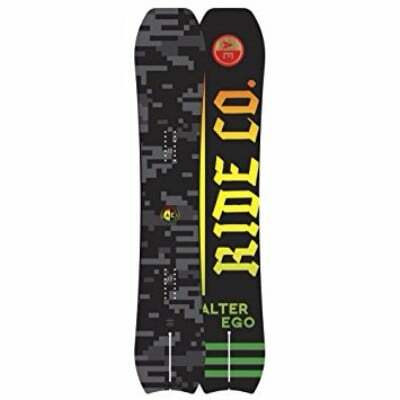 Check Amazon for promotions and discounts on the Ride 2018 Rapture Women’s Snowboard by clicking below. The new Ride 2018 Rapture Women’s Snowboard is crafted in a true twin shape with a twin rocker profile. This means that it is totally flat both between and beyond the inserts. 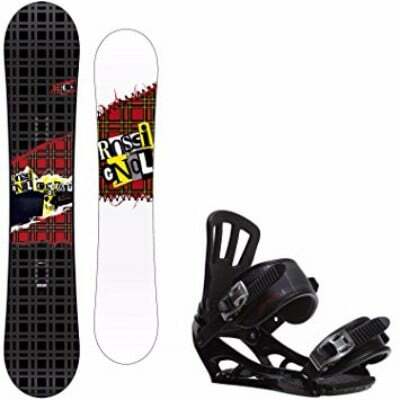 However, the rocker is extended into the tips and tail, which gives a classical snowboarding pop while riding. To retain this kind of pop and provide additional flex while riding, he snowboards comprises of the patented Foundation core. This comprises of the Tip to Tail Aspen wood core material. Asp wood assures durability and is a mark of strength and resilience. For a beginner’s board, the urethane-based sidewalls are extreme beneficial. This is because they tend to absorb impacts better rather than defending them. This happens when urethane meets snow and smoothens the entire interaction. It also manages against the wood or metal riding surface in case you practice somewhere less snowy. To add cherry on top, these sidewalls are durable; they can be stated as indestructible. Additionally, the board is easier to maintain and repair. The industry standard extruded 1500 P-tex base material improves the wax absorption. Hence, all the features connect well to allow the board turns smoothly and simply. It later gathers speed and help beginners to make progress on snowboarding tricks. Check Amazon for the best prices, discounts and promotions on the 2018 Rapture Snowboard by clicking on the exclusive link below. The brand name is relatively new, yet reliable because of the higher ratings. The good quality material, technological advancement and on-point craftsmanship makes these snowboards more favorite and resilient. The board also comes with a 3-year warranty to assure after sales services. 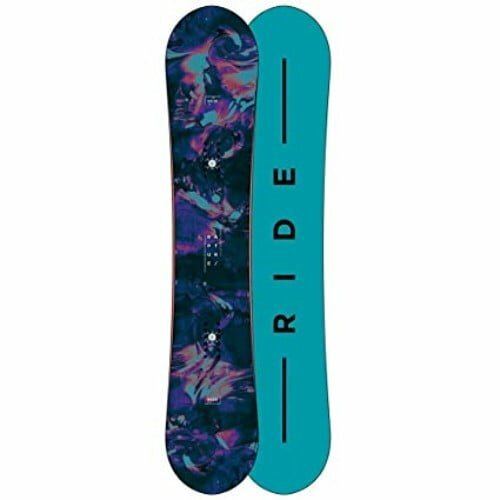 We highly recommend Ride 2018 Rapture Women’s Snowboard to newbie snowboarders. 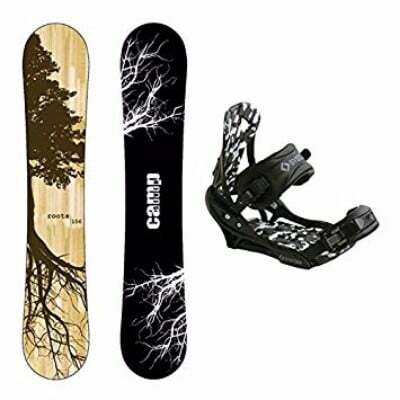 Buy the 2018 Rapture Women’s Snowboard by Arbor on Ride through the exclusive link below and get free shipping with Prime.